Just in time for the holidays, GIFTHERO.COM comes to the rescue by taking the guesswork out of buying gifts for every child on your list with their new concierge service. GIFTHERO.COM, the go-to website for superior toys for babies and kids, will now help you find the best holiday toys in one fell swoop. Founders and toy marketplace experts, Lisa and Stefanie are available by phone or email to give free gift-giving recommendations, choose gifts, wrap, ship and hand write cards to make your holiday shopping a breeze. &apos;? ?We search the marketplace for new and innovative toys and we don&apos;? ?t sell anything on our site that we wouldn&apos;? ?t want our own kids to receive, &apos;?? says, co-founder, Stefanie Katz Rothman. Since 2009, GIFTHERO.COM has changed the way parents, relatives and friends buy presents for babies and kids up to 10 years old. GIFTHERO.COM is a one-of-a-kind online service that offers the best hand-selected and mom tested assortment of high quality and educational kid&apos;? ?s gifts on the marketplace today. Founders Stefanie Katz Rothman and Lisa Fielding knew they had to create a better way to shop after spending too much time staring at the overwhelming and unsatisfying selection of toys in their local stores or at big online retailers. They created GIFTHERO.COM&apos;? ?s customized &apos;? ?gift finder&apos;?&apos;? ?a search engine helps you make your selection based on age, gender and price point. The new GIFTHERO.COM concierge service goes even further to provide shoppers with personalized service on any holiday order large or small by email at www.gifthero.com/concierge.asp, concierge@gifthero.com or by phone at 646-580-7403. &apos;? ?Many of our customers call or email us for more personalized help when ordering gifts so we decided to offer this as a service for everyone. Our knowledge of quality toys is extensive and we can easily match the best toys for every child&apos;? ?s age and interest on your list,&apos;? co-founder Lisa Fielding said. 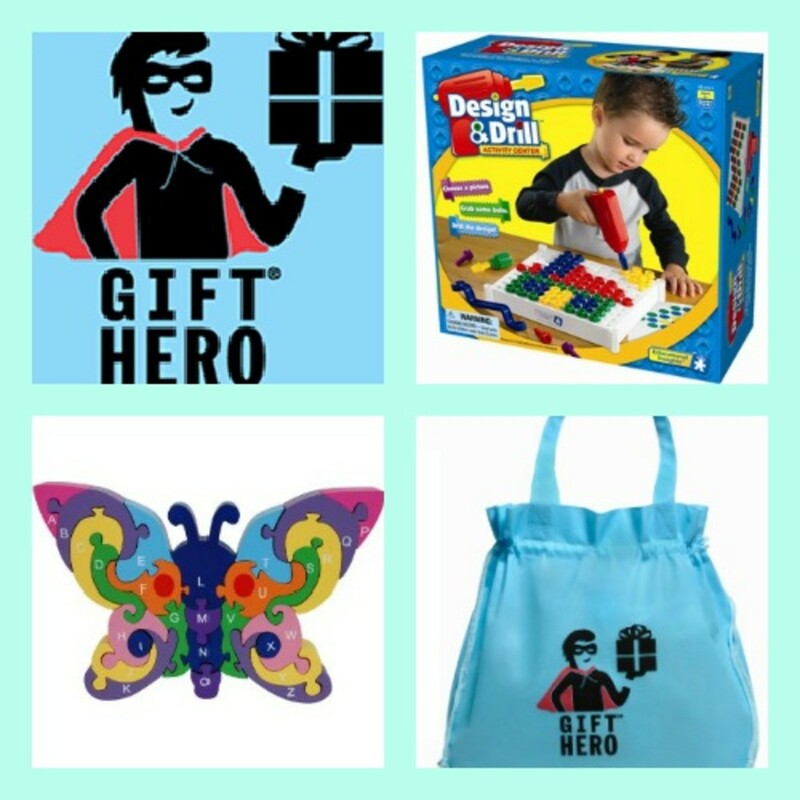 GIFTHERO.COM also offers the option of holiday gift-wrap or an eco-friendly, reusable gift bag. The bag, made from 100% recycled materials, can be re-used as a tote or as storage for toys. Customers have the option of shipping gifts to the purchaser or directly to the recipient at their home address. GiIFTHERO.COM also offers free standard shipping for orders greater than $75 so call or email with your toy questions and let GIFTHERO.COM take care of everyone on your list. Special Offer: Take $10 off any $50 toy purchase or $20 off any $100 toy purchase.